Living a simple, wholesome, and creative life. Last Monday, we discussed how to create the body of a pillowcase dress. 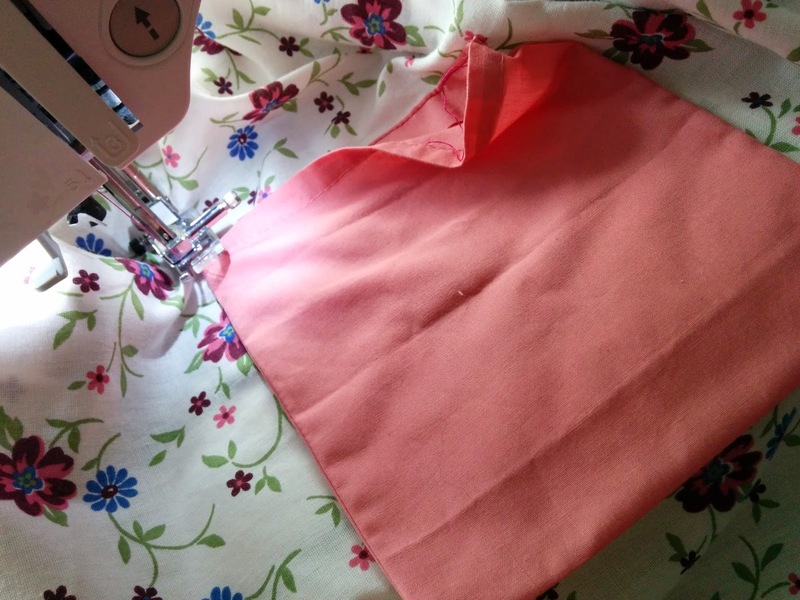 Today, we're going to discuss how to add pockets and finish the dress! Measure and cut your pocket pieces. Each pocket will be about 5x5 inches when completed, so you will need fabric accordingly. It is easiest to use two scraps about 6x6 or one scrap about 12x6 for this. They do not need be be perfectly shaped or even neatly trimmed. These are scraps, after all. 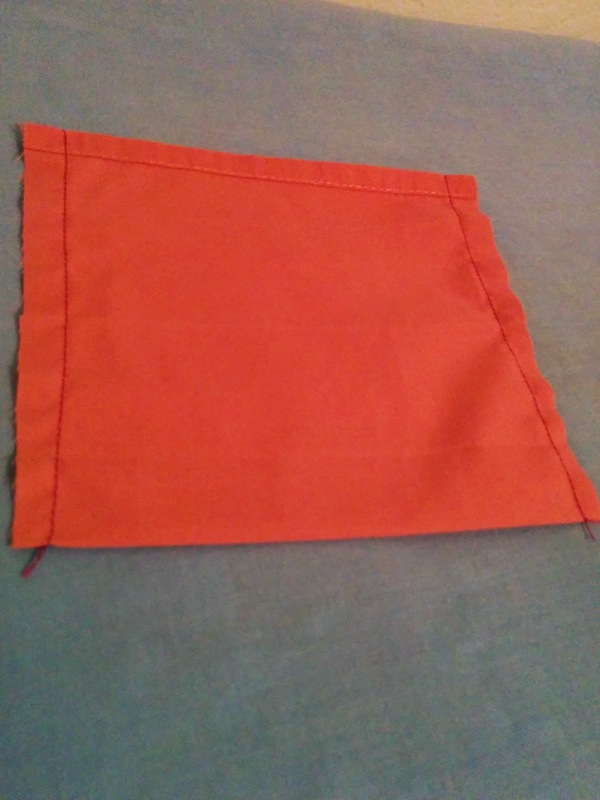 If you are using a rectangle (such as in the pictures), then you will need to fold in the ends of the rectangle in order to "hem" the edges of the pockets. Press these ends flat and sew them down. 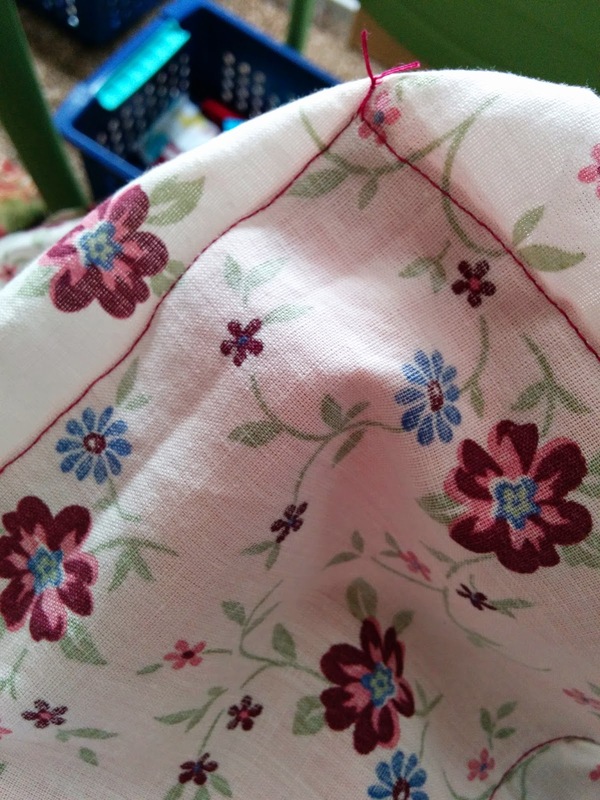 I was using pieces of fabric from an old sheet, so one edge was already hemmed, and I did not press or sew that edge. 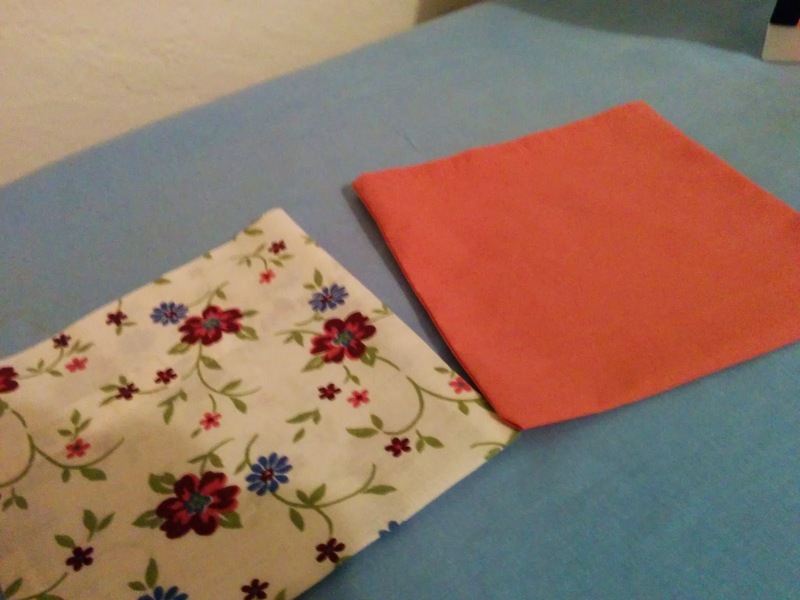 If you are using two squares, simply fold down one edge of each square. If you want to add a decorative edge, then hold that ribbon or lace against the front of the pocket while you hem one edge. Here's an example of rick-rack being added to this seam. 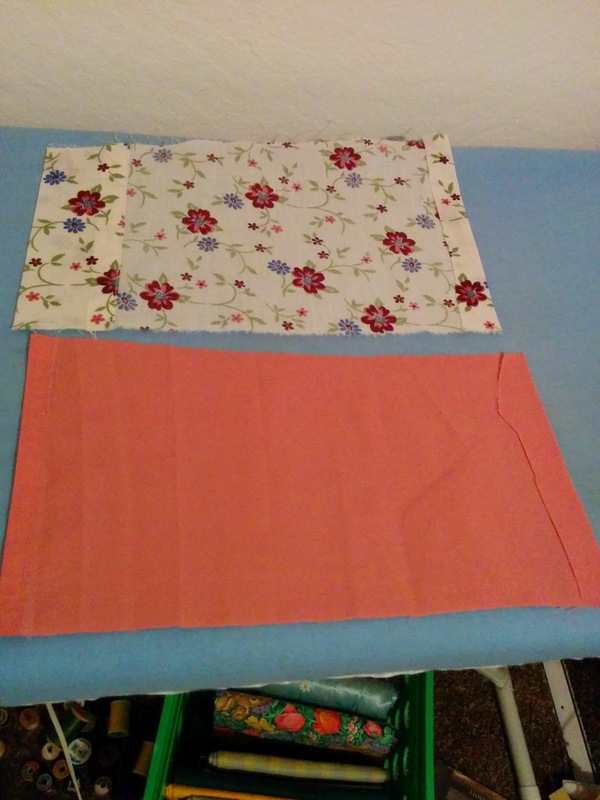 If you are using a rectangle, fold your pocket in half the long way, with the right sides together, and Sew across the two open edges without hems. If you are using two squares, place them right sides together with the hems on the same edge, and sew across the other three edges. Cut and tie off ends near the bottom of the pocket. The ends near the top should be tied and tucked into the selvage. Turn your pocket right-side out and press flat. You now have a stand alone pocket. Pin the pocket to the dress. 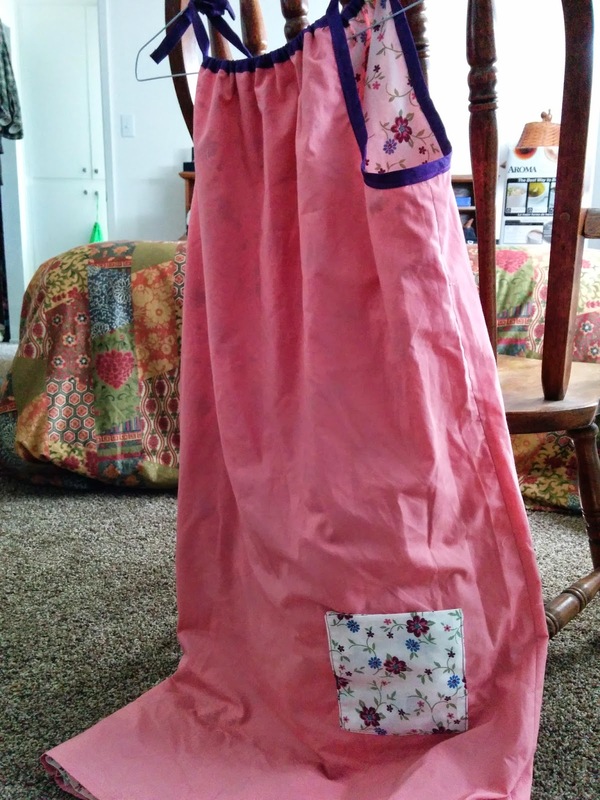 Sew the pocket to the dress. 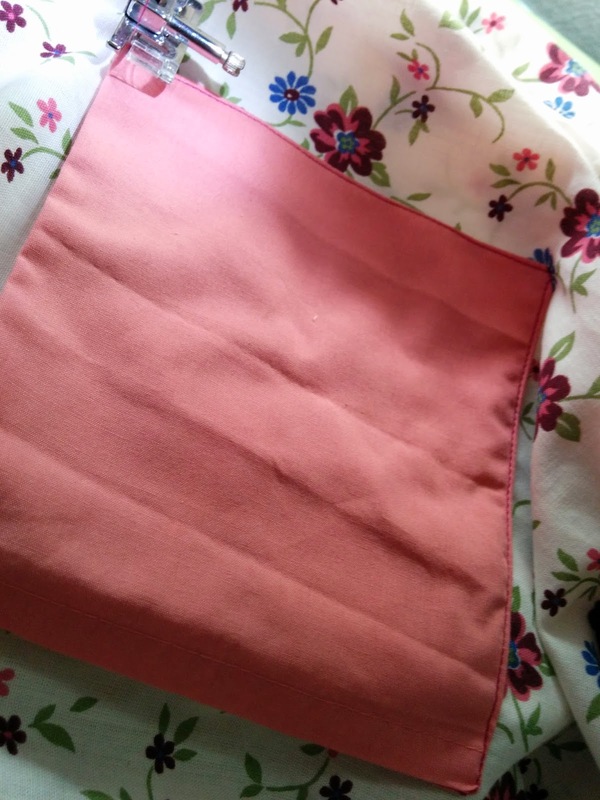 Place the pocket and dress in your sewing machine. You will want to have your foot lying between the two sides of the pocket on the hemmed/top edge, with the needle lined up with the far seam. (See picture). Sew across to the other seam, securing the back/top of the pocket to the dress. Then, lift your presser foot and turn the fabric so that you are now going down the edge of the pocket. 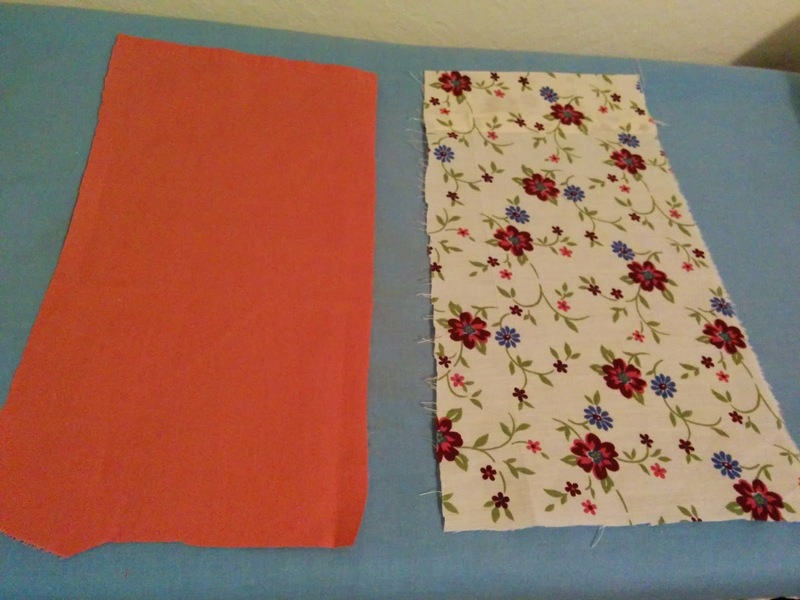 Flatten the pocket out and make sure that it is well placed, and then sew down the edge. When you reach the next corner, lift and pivot again. 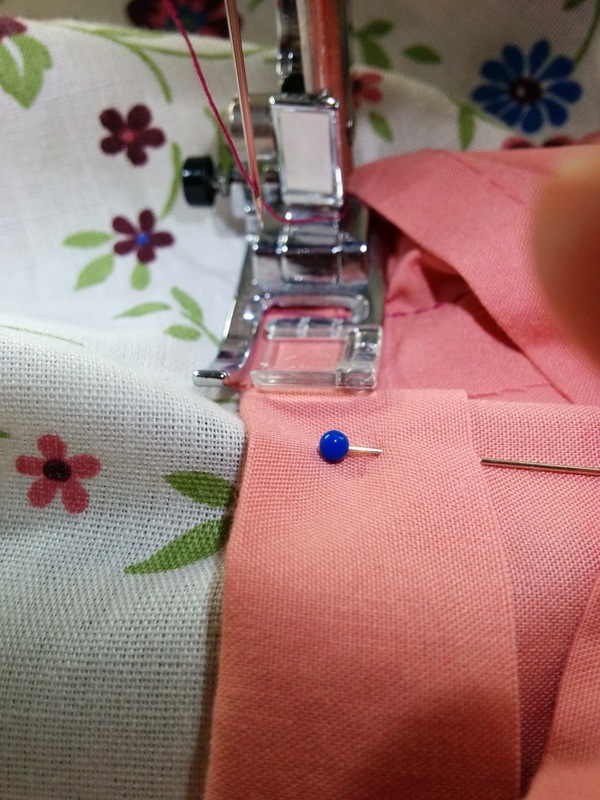 Before you sew the last two sides, it is a good idea to pin them down to keep the pocket from being crooked. Sew back up to the starting point on the pocket. Pull all your threads to the back of the dress, tie, and snip them. During these steps, you can use any stitch you want, really. I have used decorative stitches before, but this time I was running low on thread. Check for loose threads and tie them off. 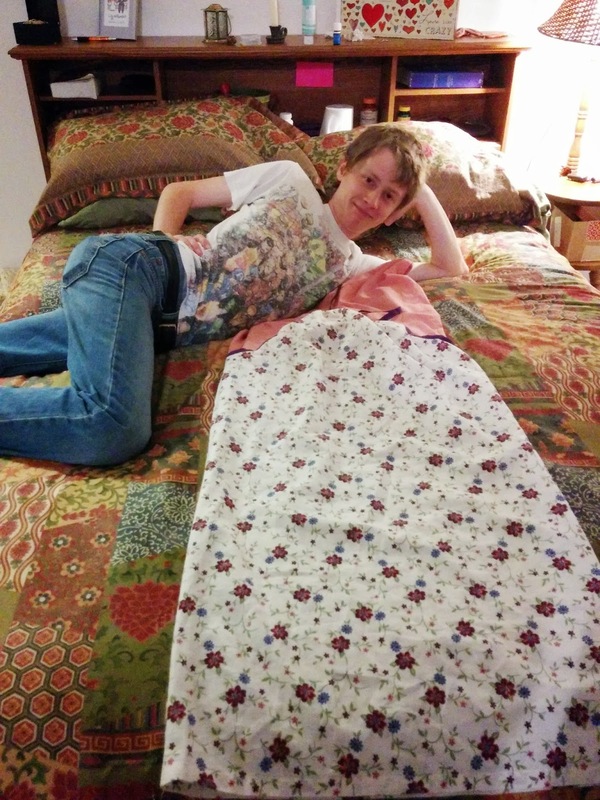 You now have a beautiful new pocketed, double sided pillowcase dress! Step 5: Sew across, then lift presser foot and turn (you can see the inside seam here). 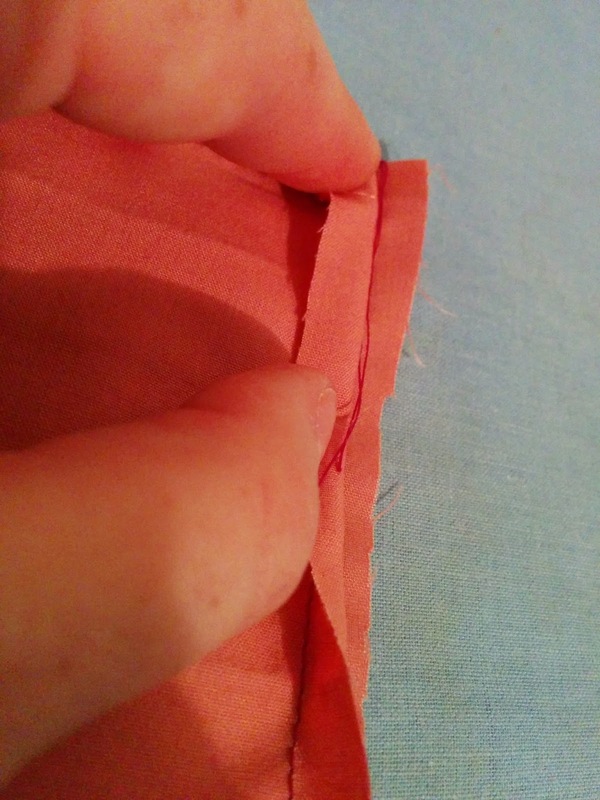 Step 5: Sew around edges. Step 5: Bring ends to the back, tie and snip. 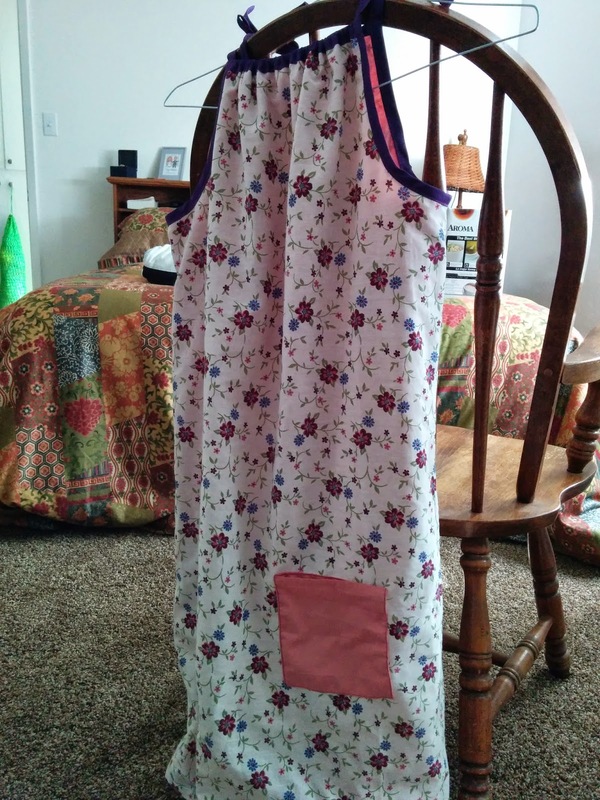 This dress is a little longer than the others because I used scraps instead of pillowcases so that I could make a bigger dress for a bigger girl. Hopefully these dresses are met with love! LadybugLaboratory. Watermark theme. Powered by Blogger.